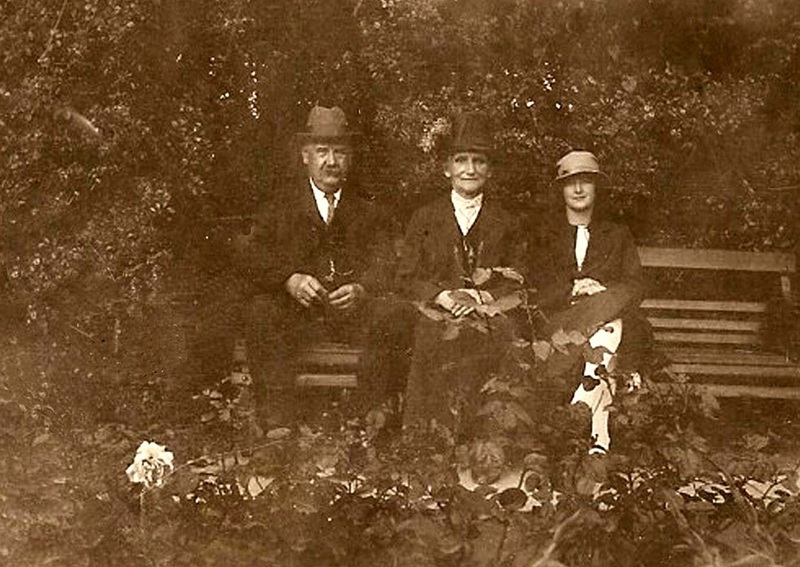 Born at Pinxton in 1864 to parents Thomas Riley and Harriett Rowe, Elizabeth was the 2nd of their 2 children. She had an older brother Joseph (1860). 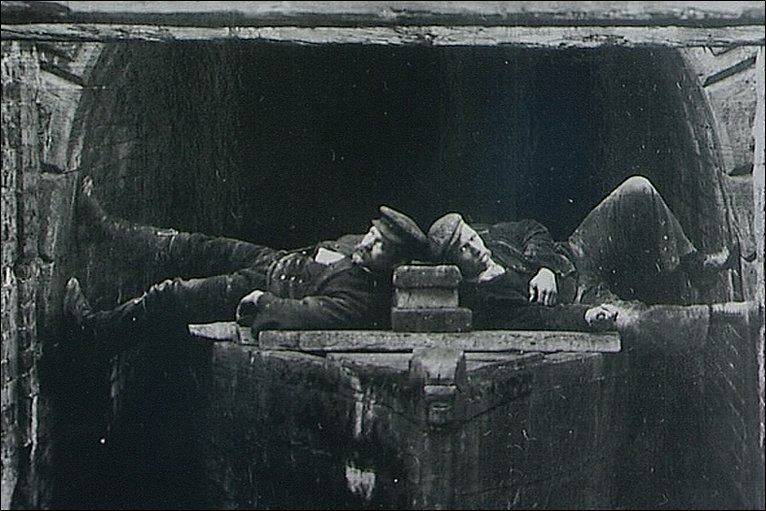 In Pinxton coal has been mined on a small scale on land leased from the great landowners from Tudor times but with the arrival of a branch of the Cromford Canal in the 1790's a miniature industrial revolution began. The early 19th century saw the building of a railway line from Pinxton Wharf to Mansfield. It was horse drawn until 1849 when it became linked to the Erewash valley railway. 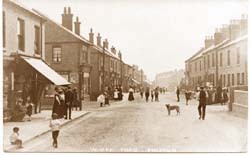 The population expanded from 463 in 1801 to 868 in 1831 with new housing being built in the wharf district which became known as New Pinxton. In 1871 Elizabeth lived with her family at Long Staithes, Pinxton, she was a scholar and would have attended the Girls' & Infants school, erected in 1860, enlarged in 1878, for 145 girls & 110 infants; average attendance, 120 girls & 110 infants. It was only in 1880, that education became compulsory for children under age 10. In the 1881 census the family had moved to Church Lane, and took in a lodger “Thomas Henchcliffe” who had a brief affair with Elizabeth and fathered Mary Henchcliffe Riley. Mary appears to have been raised by her grandmother, as by 1891 Elizabeth is working as a domestic servant at 19 Burns St, Sherwood, Nottingham to Percival B Fleet, whilst her mother Harriett (now a widow as Thomas had died in 1890) and daughter Mary are still living at Pinxton. The most common work for women was domestic service. In 1851, there were 752,000 female servants; in 1890, well over a million. Many women found the lifestyle, with its accommodation, food and regular wages, preferable to the grind of factory work. Freer Roe married in 1897 to Elizabeth Riley, who already had a daughter (Mary 1881) out of marriage. The marriage took place in Stafford, where Elizabeth’s brother Joseph (also a Railway Engine Driver) had been living back in the 1891 census. It is possibly Joseph moved to work in Netherfield as a Railway Engine Driver, who introduced Freer to his sister Elizabeth. 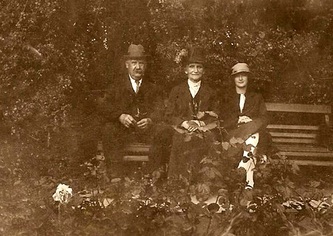 Freer and Elizabeth had children George (1901) and Bertha (Harriett Bertha 1903) at Garnet St, Netherfield. 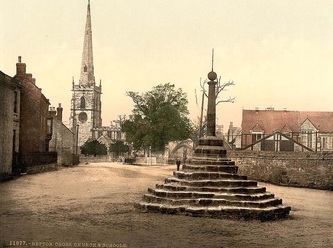 Her daughter Mary Henchcliffe Riley, had also moved to Netherfield and lived just around the corner on Meadow Street, with her Grandmother Harriett. 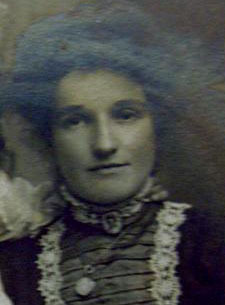 Mary Henchcliffe Riley stayed with her grandmother Harriett until 1910 (when Harriett passed away) and Mary emigrated to the USA to join John Godber Barker. Elizabeth died 1935 age 65 at Netherfield, Notts. Thomas Riley was born at Risley, Derby’s in 1821 to parents Joseph and Elizabeth Riley (maiden name not known). He was baptised on 1 Jul 1821 at All Saints Church, Risley. He was the 2nd of the couple’s 6 children. Born at Dronfield, Derbys. Ann married William Walker, a joiner, in 1841 at North Wingfield, Derbys. No further trace after 1851 Census. Born at Kirkby in Ashfield, Notts. No further trace. Born at Kirkby in Ashfield, Notts. Mary married William Slater (a Coal Man) in 1842. They had children William, John Edward, Anne M, Mary J, Charles and Arthur. They moved to Handsworth, Yorks. No further trace after 1881. 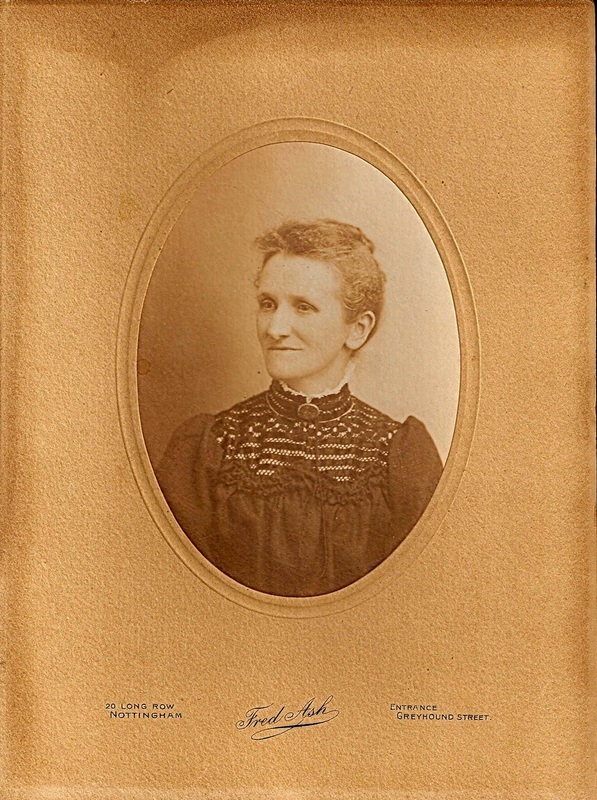 Born at Pinxton, she married William Sykes (a shoe maker), in 1849. They had children; John (1849); Joseph (1850); Thomas William (1853); Elizabeth (1857); Harriett (1860); Edward (1862); Alfred (1864); George (1866). She died age 61. RISLEY is a small village and township, partly in the parish of Sawley, and partly in that of Sandiacre. The township contained, in 1831, 252 inhabitants, being only an increase of twenty-seven persons in 30 years. 1820 George III, the longest-serving Hanoverian monarch, died after occupying the throne for 60 years. His eldest son, who had served as prince regent from 1811 to 1820 when his father was declared insane, became George IV. The new king became deeply unpopular for his extravagant lifestyle and scandalous private life. In the mid 1820’s Thomas moved with his family to Pinxton, where his father Joseph became the publican of the New Inn, Wharf Road, Pinxton. By 1841, and age of 20, Thomas had learnt the trade of a wheelwright, where he would make or repair wheels; wheeled carriages, etc. He still lived at home with his parents and siblings at Pinxton, Notts. 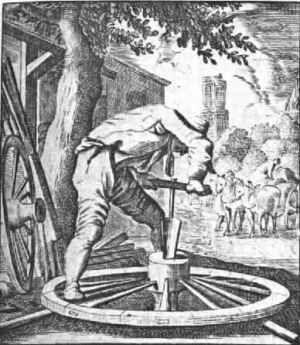 In 1847, after further radical agitation, another act limited both adults and children to ten hours of work daily. In 1858 Thomas Riley, now age 37 married Harriett Rowe age 27. In 1860 their son Joseph was born and the couple set up home and business as a publican of the New Inn, Wharf Road, Pinxton. Shortly after, they had daughter Elizabeth in 1864. By 1871 Thomas had changed occupation again, and worked as a carpenter. He lived at Long Staithes, Pinxton. He had moved by 1881 to Church Road, Pinxton, where he worked as an engine driver. To help financially they took in a lodger Thomas Henchliffe, with whom his daughter Elizabeth had an affair. Thomas died in 1890 age 67. Joseph Riley was born 1786 at Repton, Derby’s, as yet I have not been able to trace his parents. Repton village dates back to Anglo-Saxon times and was the place where Christianity was first preached in the Midlands. 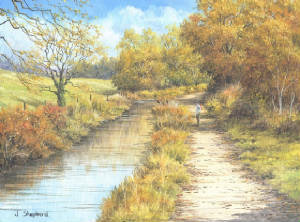 It's situated in the Trent valley between Derby and Burton-on-Trent in the county of Derbyshire. On one side of the village is the Old Trent, the remnants of the former course of the river, on the other three is attractive rolling farmland. Around 1810 Joseph Riley married Elizabeth (maiden name not known, but she was born Derbyshire circa 1785). 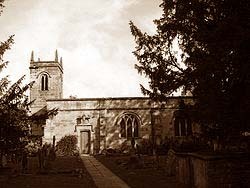 In 1811 the couple had daughter Ann at Dronfield, Derbys, I can’t then find another birth until (it is likely they had more children in this period) Thomas in Risley, Derbys (1821), Elizabeth in Kirkby in Ashfield (1822), Mary in Kirkby in Ashfield (1824), and James in Kirkby in Ashfield in 1827. Unfortunately James died within days of his birth. Finally daughter Jane was born in 1830 at Pinxton. By time of the 1841 census the couple had set up at home at The New Inn, Wharf Road, Pinxton where Joseph was the publican. Pinxton Wharf is the northern terminus of the Cromford Canal Link which opened up local coalfields and Pinxton porcelain to a wide market via the Erewash Canal. From here, an early railway (the Mansfield and Pinxton) was opened in 1819 to connect Mansfield with the canal system. Tickets to travel on the horse drawn line could be bought at the Boat Inn. Unfortunately Elizabeth died in the 1840s, but Joseph stayed in Pinxton as a publican at the New Inn at Pinxton and can be found in trade directories until 1860. It is thought he died about this date. In the early 1800s and encouraged by a lowering of duties on gin, gin houses or “Gin Palaces” had spread from London to most major cities and towns in Britain, with most of the new establishments illegal and unlicensed. These bawdy, loud and unruly drinking dens so often described by Charles Dickens in his Sketches by Boz (published 1835-6) increasingly came to be held as unbridled cesspits of immorality or crime and the source of much ill-health and alcoholism among the working classes.